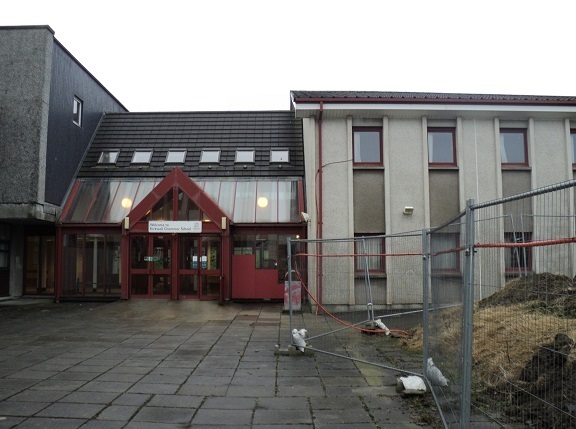 Central Demolition Limited were awarded the contract for the demolition of Kirkwall Grammar School, an existing school consisting of single and two storey construction. With the remote location of the site, and the close proximity of the structure to a newly constructed and ‘live’ school, this project was certainly challenging. From the beginning, a carefully planned and coordinated approach was required. 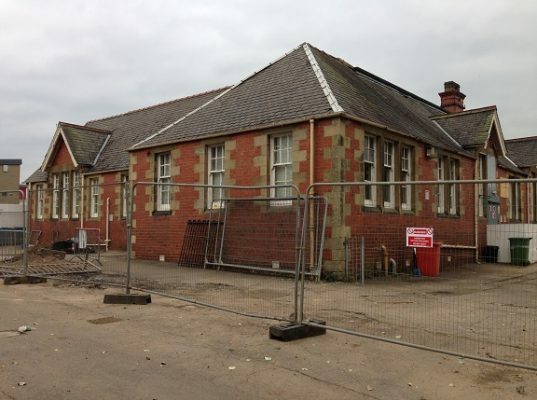 We were already familiar with the site having partially demolished the games hall area back in 2011 as part of enabling works for the new school construction, which was beneficial. The logistical challenges were present from the outset, with the school being located in a remote setting on an island. Our Operations Manager had the difficult task of arranging all transportation for our team and all necessary plant, machinery, and equipment; accommodation on the island; and the hire of services from local organisations. Efficient use of our resources was key to this project, so much consideration was taken over the planned approach and the resources that this would require. Unlike when working on the mainland – where we can drive to almost any location without much issue, with this project we had to depend on the use of planes and ferries. Our men were flown to and from the island when required, and most of the plant, machinery and equipment being used on the project was transported via ferry. Throughout the project we transported machines, a decontamination unit, skips … to name just a few items! Despite the distance of the site from our head office (in excess of 300 miles), our directors visited the site on a regular basis in order to check on the progress of the works. There were two main challenges which this project presented: the close proximity of the new school to the site, and the removal of hazardous materials from the site off the island. We worked closely with NorthLink Ferries to ensure safe transportation of all resources and materials, including hazardous waste (e.g. asbestos) and items classed as dangerous goods (e.g. fuel bowser). It was important that communications, plans and paperwork were maintained throughout. Vehicular movements were planned around busy times e.g. school opening, lunch, school closing, to minimise road disruption and risks to local residents. There was also residential housing in the areas surrounding the site so we worked actively to suppress dust and minimise the noise generated on site. 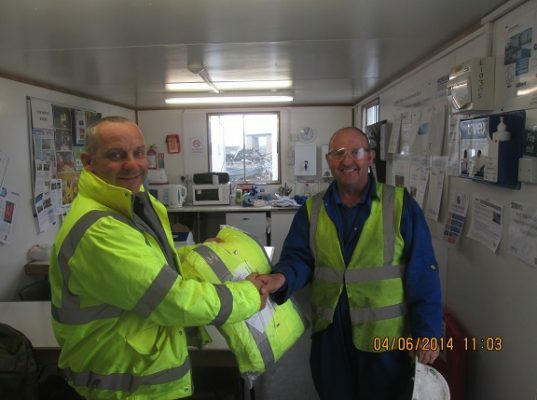 When our men moved onto site, site preparations began. These preparations included all operatives being fully inducted, site boundaries being fenced off and demolition warning notices being affixed to the fencing. Further to the site set-up, our preparatory works commenced. We carried out a soft strip of all fixtures and fittings, using a variety of hand tools. All materials were gradually removed and deposited into skips, ready to be sorted, processed and recycled. 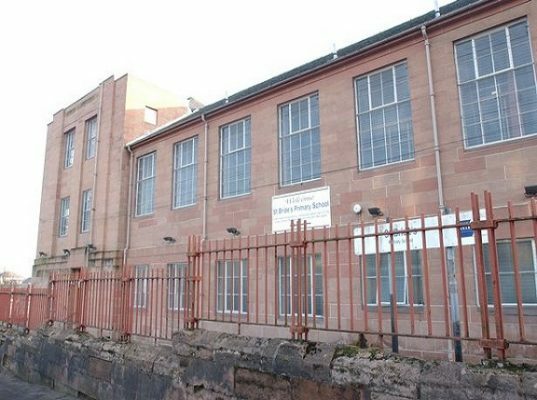 A prior survey had identified asbestos within the structure. Asbestos removal works included the removal of asbestos cement in the swimming pool block. The asbestos cement roof of the swimming pool area had been assessed and deemed to need repairs years earlier, and the solution at that time had been to overclad the existing roof with a newer roof. 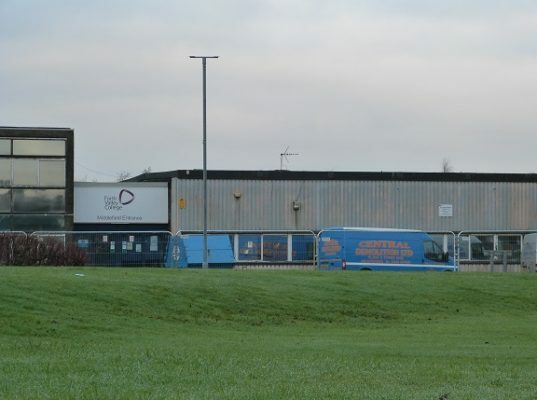 This made the asbestos removal process very difficult as the existing and new roofs were joined – so removing the panels from the existing roof could potentially cause the full roof structure to collapse. Therefore, the asbestos removal methodology had to be very well planned and precise to ensure safe but effective removal of the asbestos from the structure. As areas of the structure were stripped and made safe, demolition works proceeded. Five areas were identified: classroom block, technical block, two storey classroom and administration block, main block – classroom, gym, dining halls etc., and swimming pool and changing rooms. Though similar methodologies were followed, a planned approach was detailed for each section of the school. It was deemed that the most appropriate method of demolition for this project was machine demolition. 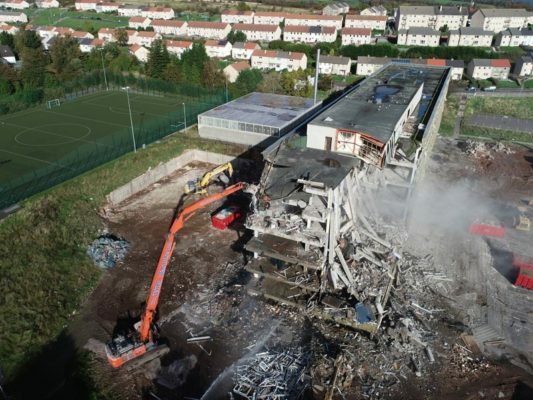 Multiple demolition attachments were used to bring down the school, including a hydraulic shear and a pulveriser. Banksmen were on duty at all times to ensure that the machines operated safely and that no employees or members of the public were put at risk at any time. As part of the project, we also removed the floor slabs, foundations, and the swimming pool. A machine was used to excavate down the sides of both the floor slabs and foundations to expose them and then they were removed and stockpiled for processing. Those areas of slabs/foundations proving more difficult to remove were broken out using a hydraulic breaker demolition attachment. All voids left were backfilled to ground level using the excavated and crushed materials on-site. The swimming pool was a more challenging task, and was removed using a variety of tools including an excavator, hydraulic breaker, pulveriser and hammer. Materials arising from the demolition works were recycled as far as possible, including on-site crushing of some materials to create 6F2. Crushing plant and a loading shovel were utilised. Contaminants such as timber and metal were removed from the raw stockpiles prior to crushing. We worked hard to achieve a high recycling rate on this project, especially since our client had been set a target of achieving an ‘Excellent’ BREEAM rating. Rubble and concrete were also recycled on site for reuse on the client’s other sites. 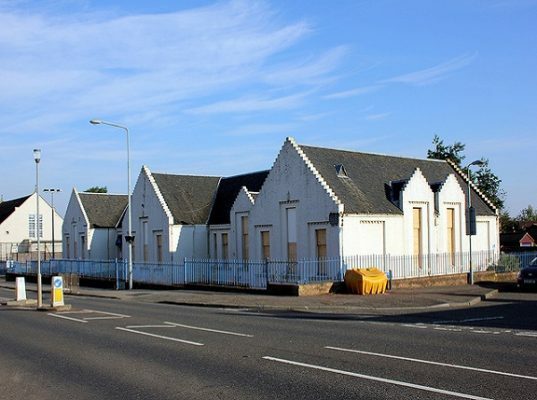 This project received a lot of local attention, especially with the replacement school having been constructed in close proximity to this existing site. Locals regularly watched the demolition progressing, and photographs were taken and circulated. Our men took the attention in their stride and continued working safely and to their usual high standard. There is always an element of pressure when working on a site which gathers public interest, but the team handled it well. This project was completed safely, on time and within budget. Our clients, Morrison Construction, were delighted with our work – and we hope that this will lead to a strong and lasting relationship in the future. We were happy to report that we achieved a recycling rate of approx. 94%, which was good considering the costs and logistical issues involved with recycling the demolition arisings as far as possible. In the future, the site is going to be redeveloped. New outdoor sports facilities are being constructed, for use by the pupils at the new Kirkwall Grammar School.